The snow is gone! I said, the snow is GONE!!!!! Open your little eyes and take in the renewed colors and life all around! Take a deep breath and smell those flowers starting to bloom! Just inhale…..ACHOOOOO! Ugh!! Yes, these new flowers and colors are beautiful, but the allergies that can tag along?? Not so much, huh…… Well, for this gorgeous spring weather, I’ve chosen Peppermint* for April! Although the peppermint plant can flourish in some of the darker places, it THRIVES in direct sunlight! So, as our desolate sky begins to fill with rays of our toasty sunshine, it begins to grow more abundantly! So, what makes this plant a much needed oily asset in your arsenal? Its wide variety of medicinal uses, of course! I’m talking about digestion, pain relief, diabetic support, energy support, bug repellent, respiratory support, hunger suppressing, cleaning and SO, SO, SO MUCH MORE! And with so many uses, to just share one of my fave ways to use it just is a waste!! So, y’all get spoiled today with several ways to incorporate this into your life! My number one use is for muscular support. Now, I am in no way an athlete or even a regular exercising girl and probably never will be! But what I do have are several debilitating painful trigger point issues that never seem to cease! I’ve tried just about every relief support there is. And when these muscles spasm and lock up throughout my body, it refers so many pain symptoms ranging from migraines to no balance that I just feel like giving up! But, true honesty from my heart, peppermint* is my saving grace! I take some carrier oil and mix up with my oil. It gets rubbed deeply into my shoulders, neck and spine! I then close my eyes and cup my hands over my face and take deep breaths (CLOSE THEM BECAUSE THE AROMA CAN BURN YOUR EYES!!). Within 10 minutes, I literally feel my pain melt away! It is that simple! And because YL makes pure oil, I am not putting any chemicals or damaging additives that can harm other parts of my body as I try fixing one! Next use is my stomach! Along with those muscle issues, I also have severe stomach/digestion issues that have no cure as well as no safe medications to help! The meds that doctors try giving to help these issues have massive warnings that it destroys our liver and so on! 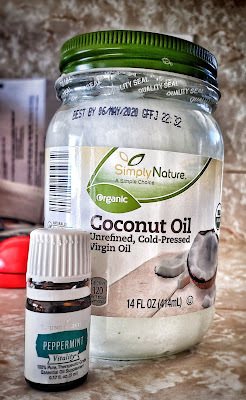 With this oil, I can drop it into some water, stir and enjoy! Or rub it onto my stomach directly and within a few minutes it starts to calm it down! You will not want your skin to have contact with water or sunlight afterwards, so wait about an hour or so. There you have it! And with so many uses and benefits, this isn’t even close to how many ways you can use it! Diffuse it for air freshening, add it to your cleaning bottle to clean and freshen, add a TINY drop onto your toothpaste for extra freshening and whitening! The world is your peppermint playground! *Click on the link to view the ingredient list to see if this product is right for you and fits your individual allergen needs. Please note that the oil mentioned is of the Vitality variety. You can search the other oils and blends here. Ready to have your own bottle of Peppermint or want to know more about how to get your own oils? 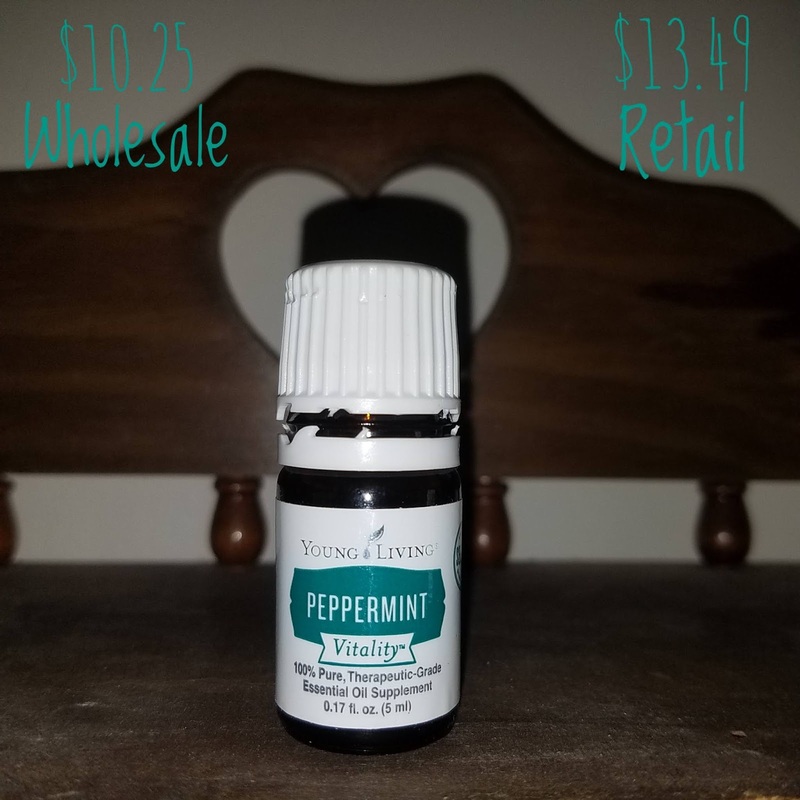 I hope you all have enjoyed learning a little more about Peppermint Essential Oil. If you have further questions, please leave a comment below and Jess will respond as she is able or contact her via her "Contact" page.